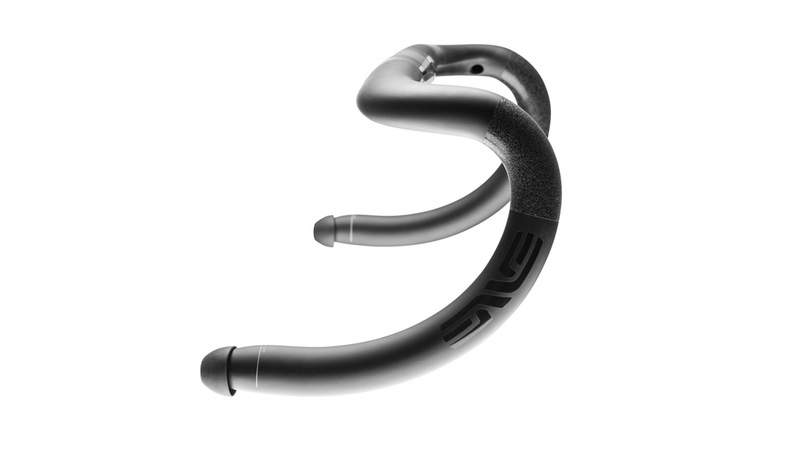 ENVE has announced an update to its compact carbon Road Handlebar. The new offering is now plumbed for internal wiring, has compatibility with Shimano’s bar-end junction boxes and is offered in additional 38 and 46mm widths. There are no round sections on the bar except for the clamping zone, yet the subtle shaping on top and in the drops of the bar provide comfortable hand positions and confident handling on the road. It maintains the same popular geometry as its predecessor with a short 79mm reach and shallow 127mm drop, offered in 38, 40, 42, 44 and 46cm widths, centre to centre at hoods.